Migrating birds are known as an “indicator species,” meaning that their issues foretell other problems within the ecosystem and provide an opportunity to mitigate potential risks to species populations. Using advanced tracking technologies to map migratory patterns provides scientists with insight into habitat conditions and aids research into what may be causing population declines. ConocoPhillips helps to advance conservation and understanding through its work with the Smithsonian Conservation Biology Institute’s Migratory Bird Center. Through this partnership, we gain a better understanding of the important habitats throughout the migration cycle and how we can take a coordinated approach for more effective conservation. 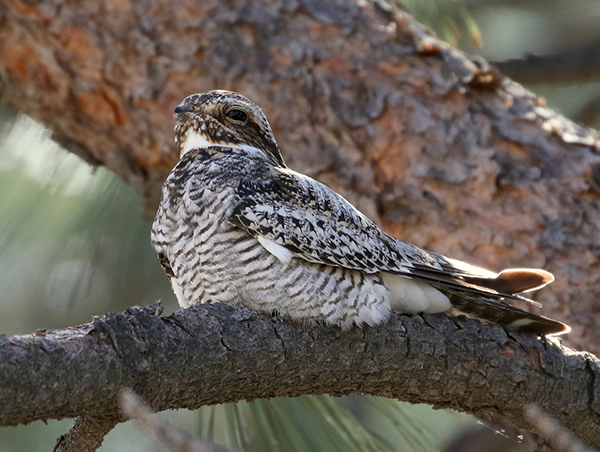 The recent first-time full-cycle tracking of the Common Nighthawk, a species at risk, yielded several significant discoveries. Researchers face four major technological challenges when tracking migratory birds: transmitter size, error in location estimates, data retrieval and expense. One notable contribution was the purchase of new satellite tags small enough to attach to medium-sized birds yet powerful enough to regularly transmit data to satellites – effectively addressing all of these challenges. The tags weigh barely more than a penny and are worn as backpack-style harnesses by the birds. The straps are designed to fall off after a period of use so that the birds aren’t tagged forever. This technological innovation sheds light on species whose patterns were previously a mystery. Ng, J., Knight, E., Scarpignato, A., Harrison, A. L., Bayne, E. M., & Marra, P. P. 2018. The first full annual cycle tracking of a declining aerial insectivorous bird, the Common Nighthawk (Chordeiles minor), identifies migration routes, non-breeding habitat and breeding site fidelity. Canadian Journal of Zoology 97 (8). This research was supported by ConocoPhillips Charitable Investments Global Signature Program.